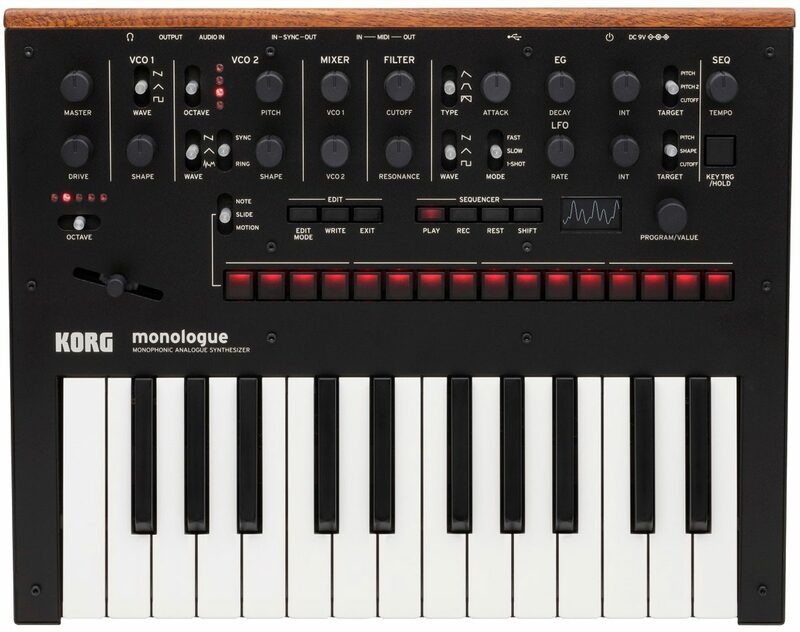 The Korg monologue is a fully-programmable, true-analog monophonic synth that, while based on the minilogue, has be re-designed and re-voiced to be unlike any other mono synth on the market. 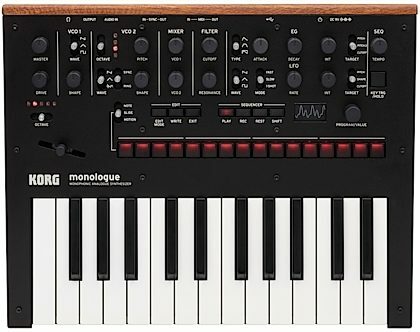 The Monologue offers the same great look and feel as the minilogue, with a curved aluminum panel, wood back, and solid potentiometers/knobs. 25-note E-to-E keyboard. Why E-to-E as opposed to traditional C-to-C? Bass!! 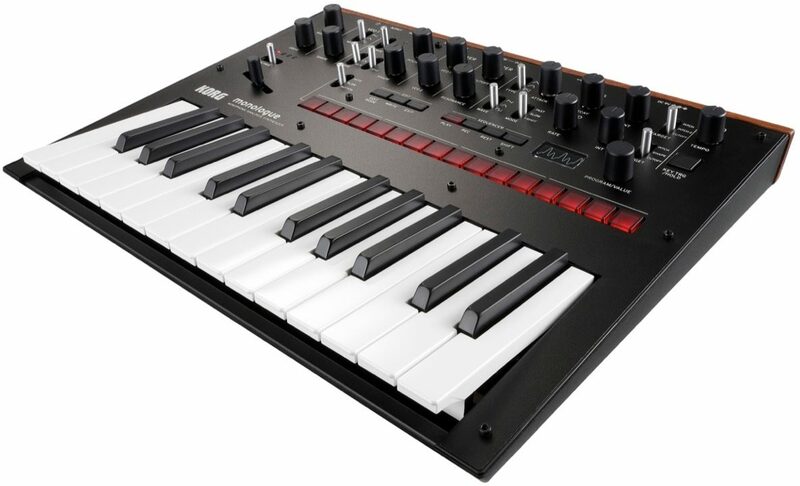 Features a 2-pole filter and dedicated drive circuit for added tone shaping; more bite and greater sonic depth, 16 step sequencer buttons across the panel for easier sequencer editing and Micro tuning, which allows the user to create custom scales with detunes per note. This creates amazingly organic and vintage analog sounds and sequences. EDM legend APHEX TWIN consulted on this feature, and created a number of sounds and sequences based on them. That same awesome oscilloscope screen from minilogue! Battery-powered option -- can run on 6 x AA. - Solid build: aluminum panel, bolted metal shaft pots, rubber coated knobs. - Microtuning: 32 settings (20 Preset tunings / 6 User scales / 6 User octaves), Each setting can be set the key. - Dimensions (W x D x H): 350 x 276 x 76 mm / 13.78" x 10.87" x 2.99"
- Weight: 1.7 kg / 3.78 lbs.